This book explores the deeper meaning of sports. Drawing on contemporary research, the author makes a strong case for why we should see sport not only in terms of religion but--more importantly-as a possible location for spiritual meaning. Taking this a step farther, she considers how gene editing, robotics, and other biomedical technological enhancements affect not only sports performances but experiences of sport as sacred. 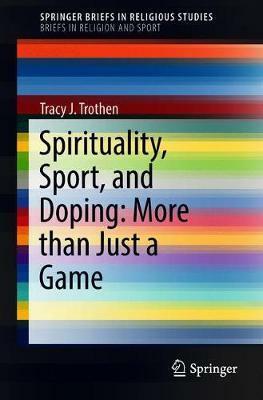 In addition, the author explores what difference it might make to the enhancement debate if sports' spirituality is taken seriously. The author is not afraid to explore the issue in all its complexity. Yet, the argument she presents is both meaningful and accessible. This investigation applies insights from Christian theology, applied ethics, psychology, and sports studies. From lightweight tennis racquets to anabolic steroids, athletes have long used technology and science to improve their performances. But, until now, no one has asked how biomedical technological enhancements might affect the undervalued spiritual dimension of sport. This book presents rich insights into the connection between sports, spirituality, and human enhancement technologies. It will appeal to researchers, athletes and sports followers, and undergraduate and graduate students in ethics, sport, religion or theology. Illustrations note IX, 88 p.
Chapter 4. Spirituality: Implications for Sport Enhancements. TRACY J. TROTHEN (RP) is a Professor of Ethics at Queen's University (Schools of Religion and Rehabilitation Therapy). Trothen's research interests include sport, spirituality, and human enhancement. The author of numerous publications including Winning the Race? Religion, Hope, and Reshaping the Sport Enhancement Debate, Trothen serves on the AAR's Human Enhancement and Transhumanism Unit.